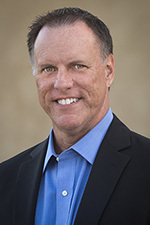 Consulting Services | Richard M. Hicks Consulting, Inc.
I’ve been helping organizations large and small deploy DirectAccess since it was first introduced more than six years ago. During that time I have amassed a wealth of knowledge and experience with this unique technology. 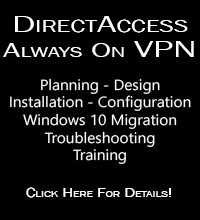 DirectAccess is not trivial to install, configure, or troubleshoot. Also, it’s easy to make mistakes in the planning and design phase that can turn in to serious issues later in the deployment. 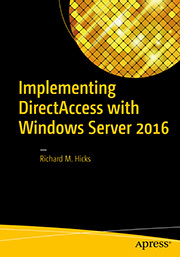 To make matters worse, many organizations are deploying DirectAccess for the first time, and without essential guidance they are prone to making common mistakes or choosing configuration options that are less than optimal both in terms of supportability and performance. All services can be performed on-site or remotely. Complete and submit the form below for more information.